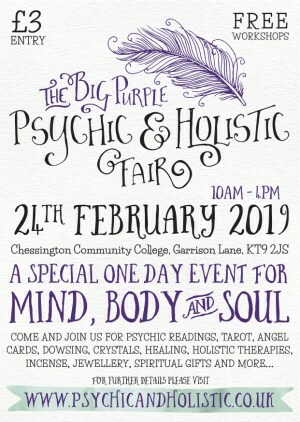 Why The “Big” Purple Psychic & Holistic Fair? We never aimed to be a small event now have 50/75 stalls at any of our events as we want to give you the best value for money fair we can. We only hold three a year, in Feb, June and October so we can concentrate on giving you a fun, social, educational experience and aim for quality over quantity. 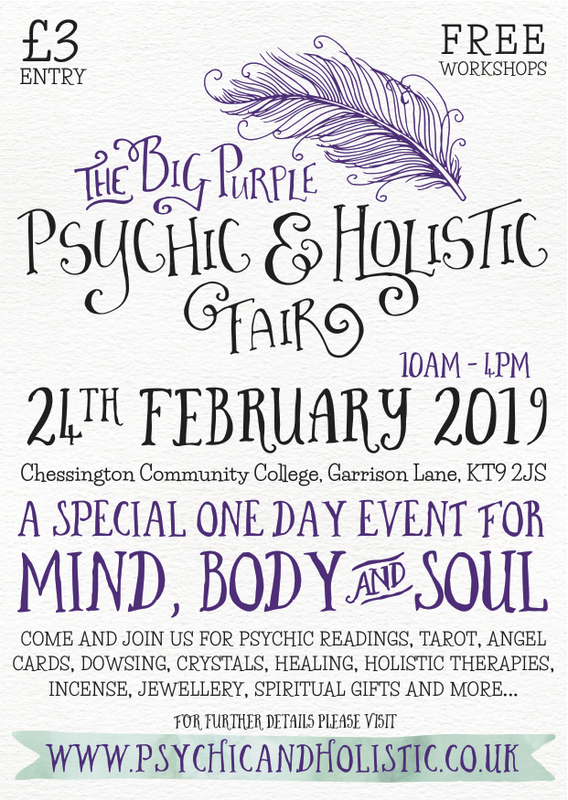 Gratefully held in the huge atrium of Chessington Community College so there is jostling for space at this psychic and holistic fair, just a beautiful light calm atmosphere with plenty of room to move about and ample seating. With a growing choice of clairvoyants, psychics, tarot and angel card readers, astrological readings and more. 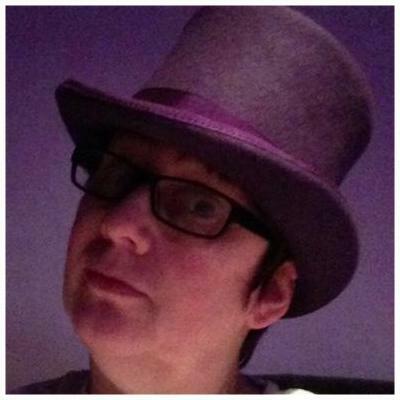 The readers are all carefully selected and many serve at local spiritualist churches. Our ethos is to be affordable so our readers offer a variable price structure so you can choose accordingly to suit your budget. Our healers too are experts in their field. We love you to see all that there is to offer so various forms of healing such as reiki, pranic, crystal, dolphin, angelic reiki, and spiritual healing are all available. Again our healers and therapists offer special “this fair only” deals, so you have chance to sample much of what’s to offer. Our core team of knowledgable retailers (many of whom produce and sell their own beautiful products from jewellery to skin care) are invited to join us annually and many have been with us since conception. But we always welcome new traders if their items fit our theme and ethics. There are free talks and workshops throughout the day, that you can participate in as much or as little as you like. Come and join us at for a wonderful day of love and light, making new friends, and talking to like minded people. A free gift awaits our first 100 visitors and entrance is just £3. 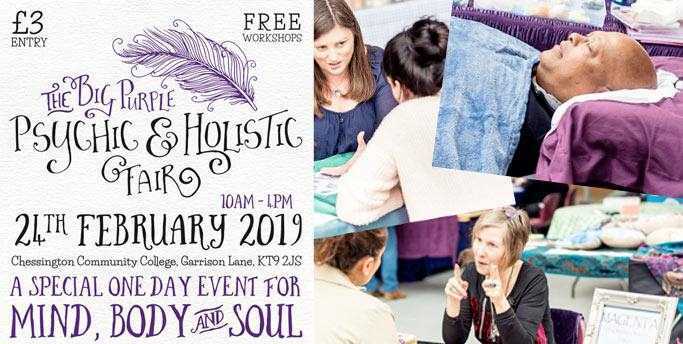 Please see our website for more details of the next fairs workshops or follow us on Facebook and please join our private mailing list so we can remind you about our next fair. Tickets available on the door cash only please.